I was talking to Dale Kickett about something else then changed the subject. I told him about the day I took a photo of the scoreboard at the oval in Tammin and imagined the laughter and joy of footy played there. The Kicketts are remarkable. Fremantle supporters love Dale, who also played for Fitzroy, St Kilda, West Coast (can you believe it? ), Essendon and won two grand final Simpson Medals for Claremont. Dale’s uncle Derek had one of the greatest WAFL seasons ever for Claremont in 1987 and also played for West Perth, Central District, North Melbourne, Essendon, Sydney and Subiaco. Derek’s highlight reel would be feature film length and he played in AFL grand finals for the Bombers and Swans. 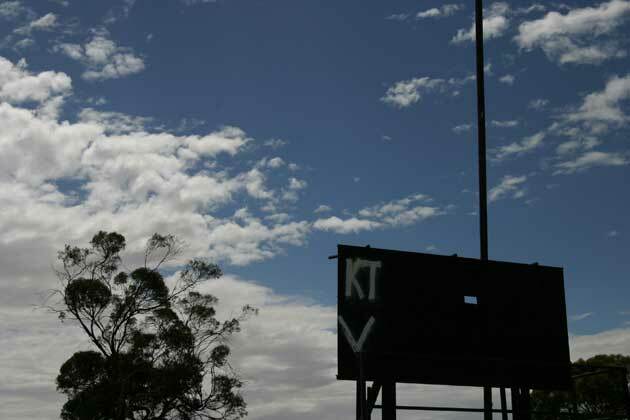 Dale Kickett was quick to take up the story of footy in Tammin, a wheatbelt town on the Great Eastern Highway connecting Perth and Kalgoorlie. 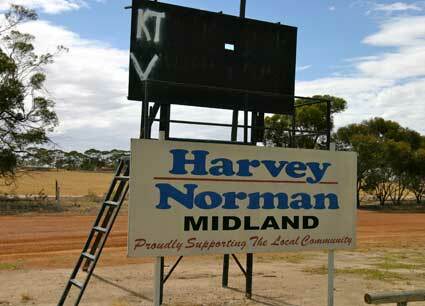 “All the young blokes around Tammin were inspired by our fathers and our uncles. There was a whole era of us who were inspired to do things on a footy field that were like Derek did. “When Derek came to Perth and played for West Perth we were all West Perth supporters. When Derek moved to Claremont we were all Claremont supporters. Derek went to South Australia and went from Port Lincoln to Central District and we were all Central District Bulldogs supporters – all of us. Because he did things that you could watch footy for a hundred years and only see once or twice. He kicked torpedoes from the middle of Tammin Oval, the biggest bloody oval in WA nearly. Dale’s father Keith and Derek’s dad Newton were top players for Tammin as was Byron Pickett snr, father of the 2004 Norm Smith Medal winner. 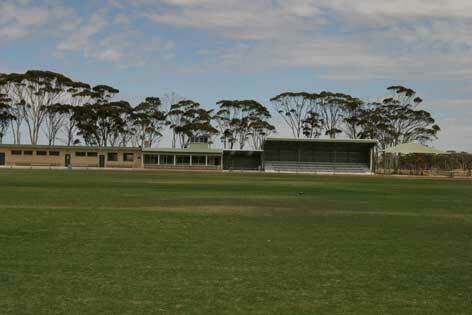 Tammin merged with Kellerberrin in 1994 – Kellerberrin-Tammin won the 2011 Avon Football Association premiership. Nice post SBP. Dale Kickett was indeed a champion, a pure footballer in many ways. Sadly often thought of as they guy who punched Phil Read in the Derby, but as a footballer he was tremendous. Great yarn Les – although derek never played for the Bombers in the ’93 GF. That decision I think was Sheedy’s biggest mistake in his career. I was almost an Essendon supporter until Sheedy did that in 1993 Johno. Derek played for the Bombers in the 1990 grand final and Sydney in 1996. As mentioned before Kevin Sheedy tore Derek’s heart out. He should have never not been in that premiership side at the Bombers. For a man who trades big on his care and underfstanding of our Aboriginal footballers he knows little. I along with many others will never forgive Sheedy for that disgraceful decisions. I rate Derek with Todd, Rioli, Cable, Farmer, Jezza and Ablett (Snr) as the best footballers ever.